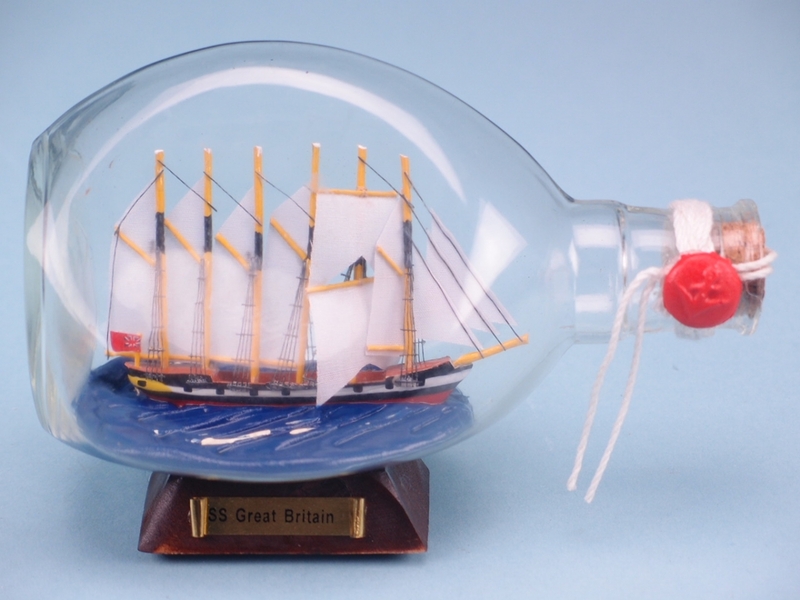 The famous SS Great Britain historic ship, in a Bottle. 12 x 17cm. 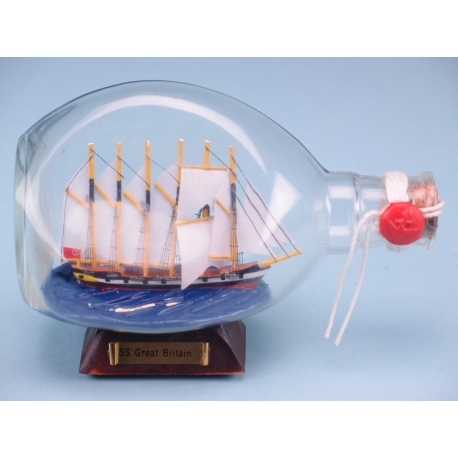 This is the largest of three SS Great Britain in a Dimple Bottle range, measuring 12 x 17cm. This mother of historic ships is handmade with great details. Made from wood inside a traditional Dimple Bottle is sealed with wax and a cork. Is standing on a wooden base with a metallic nameplate.